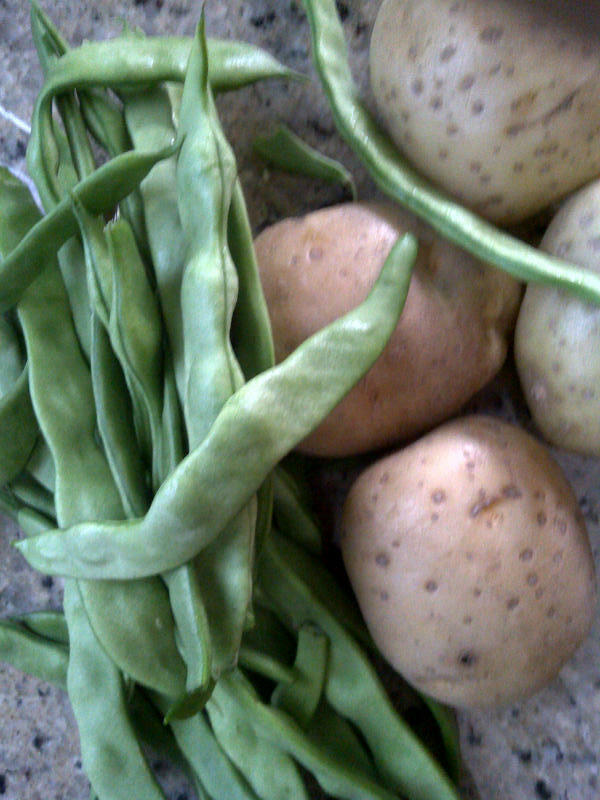 If you can fire up the grill you can make this meal..
Peel and cut the potatoes in half, add salt and boil until tender. 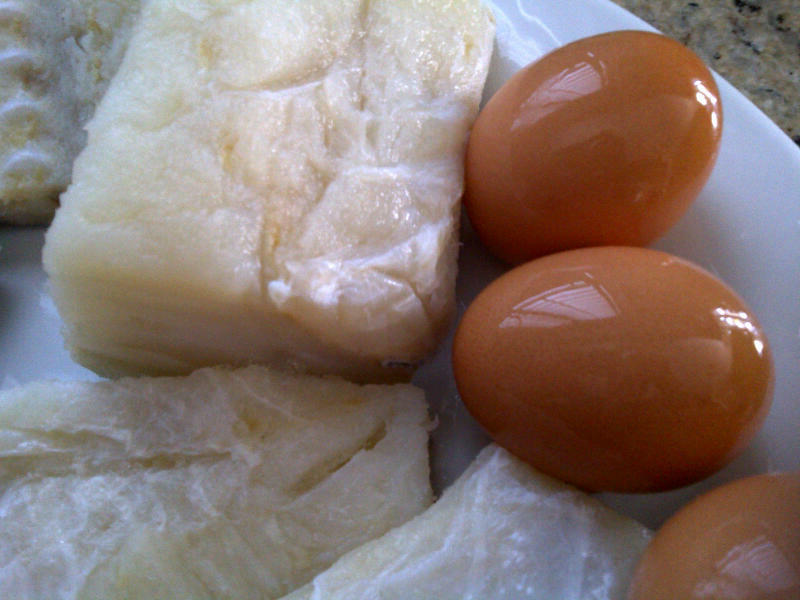 Boil eggs, steam or cook green beans in a small amount of water. 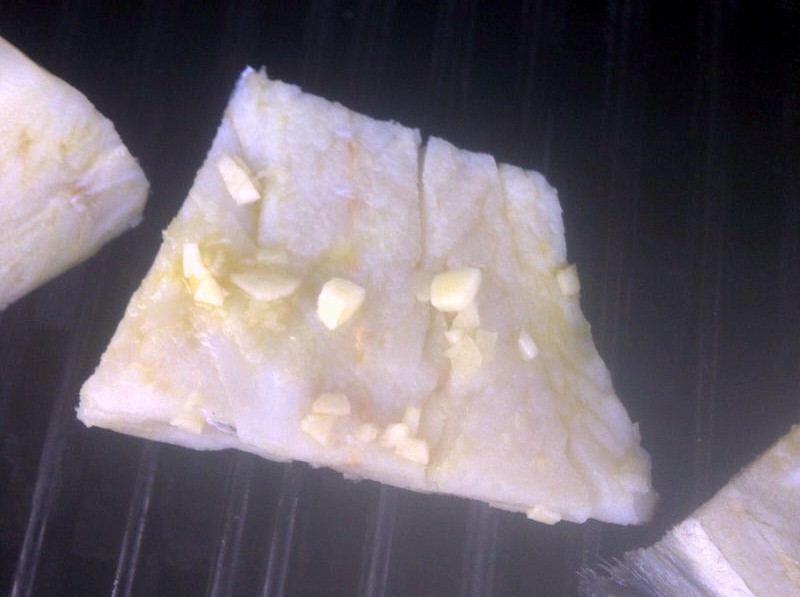 Drizzle olive oil over the cod fish and sprinkle with chopped garlic (as much or as little as you like). Heat up the BBQ and place the cod on the grill. Keep an eye on the cod and turn over to prevent burning. Cooking time varies depending on thickness of cod. 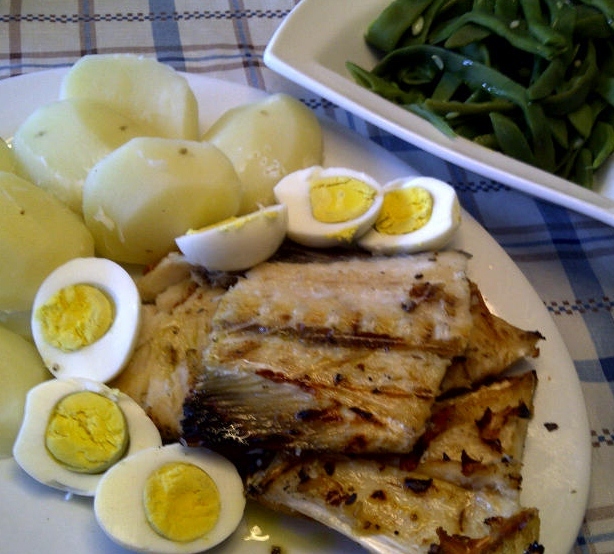 Serve cod with cooked potatoes, eggs and green beans. Have olive oil on hand so that everyone can drizzle it on their own plate over the vegetables and cod. Don’t forget the crust bread and some olives for a true Portuguese Feast. Thanks for all this idea! Oh my goodness Margaret, my mouth is watering just looking at this deliciousness. Thanks for the recent visit and becoming a follower. I am on my way to check out some of your other posts!! !